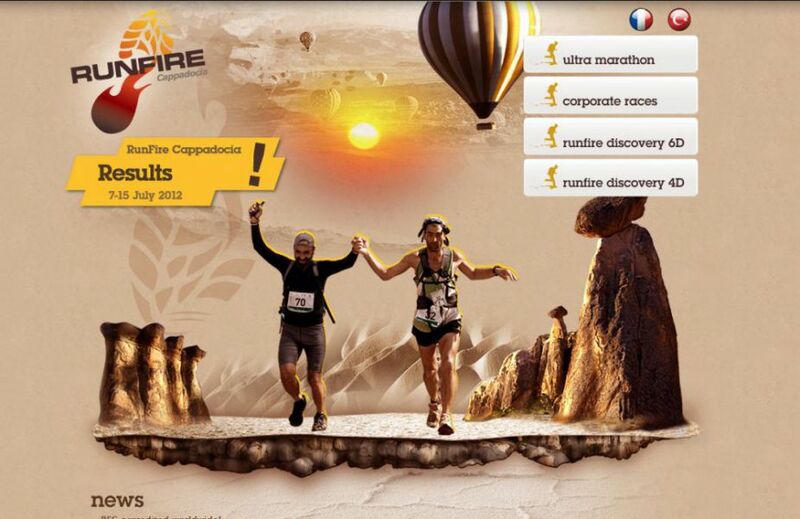 We are now official partner of Runfire Cappadocia, in Turkey. Mysterious subterranean cities built thousands of years ago, a spectacular landscape, rock formations that bring history to life and a mystical atmosphere transform this marathon a new adventure at each kilometer throughout this enchanted land. This is a challenging route of approx. 240 kilometers in desert heat. Are you in? Apart from the first and last night stays at hotels, everyone in Run Fire Cappadocia will be accommodated under the stars alone with the nature, at camps made of hair tents. Drinking water and hot water will be supplied to contestants during the contest at the camp areas. A medical and search & rescue team will accompany participants during the marathon.